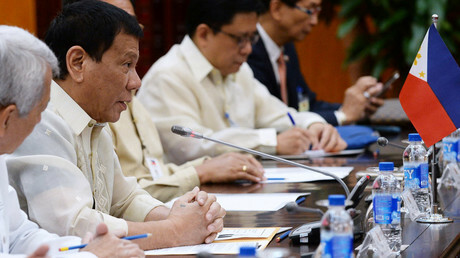 The outspoken Philippine leader backtracked on claims of a ‘separation’ from the United States, a day after making the announcement in Beijing. He unleashed his sharp tongue on the EU, however. Duterte initially made the remarks at the Great Hall of the People in Beijing on Thursday, during a four-day state visit to China. “In this venue, your honors, in this venue, I announce my separation from the United States,” he told an audience of Chinese and Philippine businesspeople.“Both in military, not maybe social, but economics also. America has lost,” the Philippines president said. “I’ve realigned myself in your ideological flow and maybe I will also go to Russia to talk to [Vladimir] Putin and tell him that there are three of us against the world – China, Philippines, and Russia. It’s the only way,” he added. However, on Friday, Duterte seemed to walk back his previous statement. Speaking from his home city of Davao, Duterte told reporters that a full separation was unfeasible. “It’s not a severance of ties. Severance is to cut diplomatic relations,” the president explained. “I cannot do that. Why? It’s for the best interests of my country that we maintain that relationship,” he said. Duterte then tried to reframe his earlier speech, explaining that the Philippines was not seeking to sever ties, but to pursue its own independent policies. As to maintaining military ties with the United States, Duterte said he would need to consult with his police and military. While taking a slightly more conciliatory stance on the US, Duterte hasn’t hesitated to take the opportunity to unleash his sharp tongue on the EU, however. “Your euro, that’s a piece of paper,” he added. 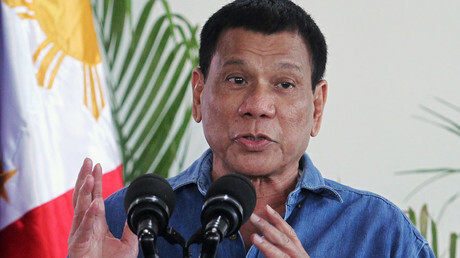 Duterte once responded to the EU with “F**k you” after it sharply criticized him for his anti-drugs campaign, which has seen over 4,400 people killed since July, according to police statistics.